This has to be my favorite photo from our summer road trip to California. 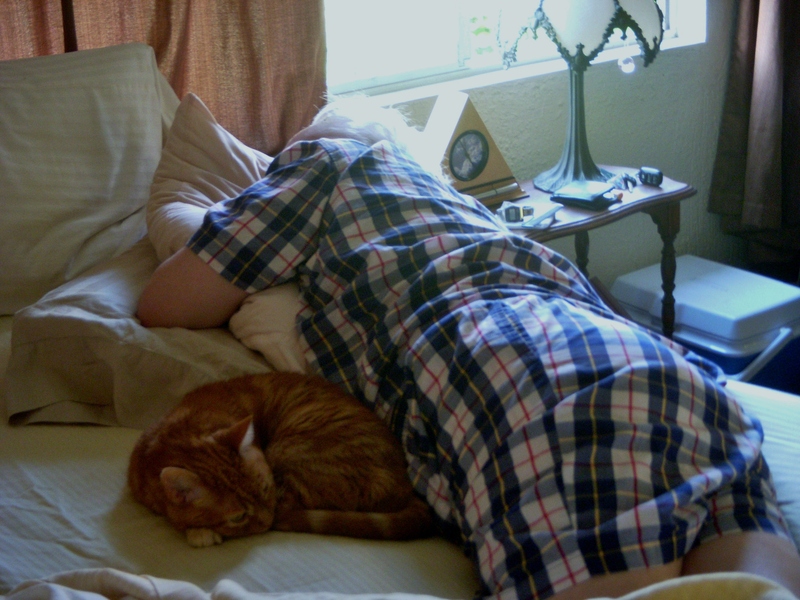 Our niece said her cat didn’t really like people, might hide, but when the morning came, I found said cat snuggled up with my husband. He’s a warm spot to curl against. awww, pet snuggles are the best!! And flower petals dance in rainbows. Sweet. Thank you. Cliff’s a dog person, so needless to say he was surprised when he woke!